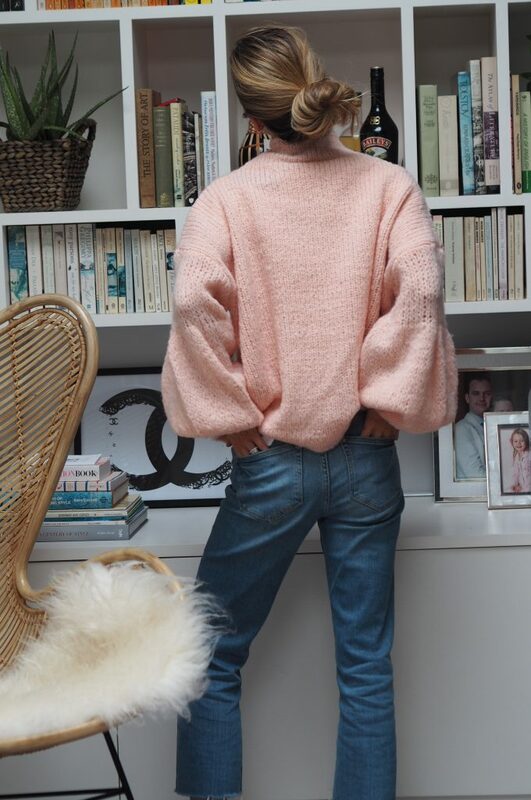 I was curious to see what all the Ganni jumper fuss was about, so I ordered it in my favourite colour and eagerly awaited it’s arrival. It arrived yesterday, and I have to say it doesn’t disappoint. It really is VERY beautiful, but for a few reasons, it is heading back on Monday. 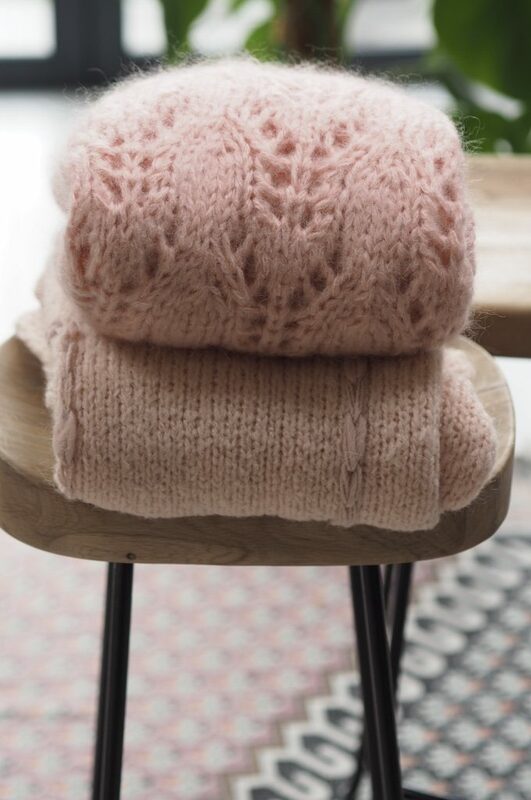 With quite a few things on my homeware lust list, £355 seems far too much to spend on a jumper at the moment, especially when it costs the same as a chair that I am saving for! I had to order a size Medium, because they didn’t have any small sizes left in the pink and it is too bulky for my frame, so I look a bit like a baseball player. I would also worry about washing such an expensive knit. The washing instructions are hand-wash, but I know that I would end up stretching it, or hooking it and it would never look the same again. But that’s me, so don’t let me put you off because it IS very special and if you have the budget then I say GO FOR IT! My decision to send it back did, of course, spark a quest to find a less expensive alternative and I think I have come quite close. My search brought up a brand I hadn’t heard of before. Oneon, whose jumpers are all handmade in Greece. At £120 it is a third of the price and I think there is something quite special about it. It’s very soft and not itchy, but it is 60% Acrylic, 20% Mohair Wool, 10% Nylon and 10% Wool. I think this M&S version is a bit of a find. It also comes in a deep navy. 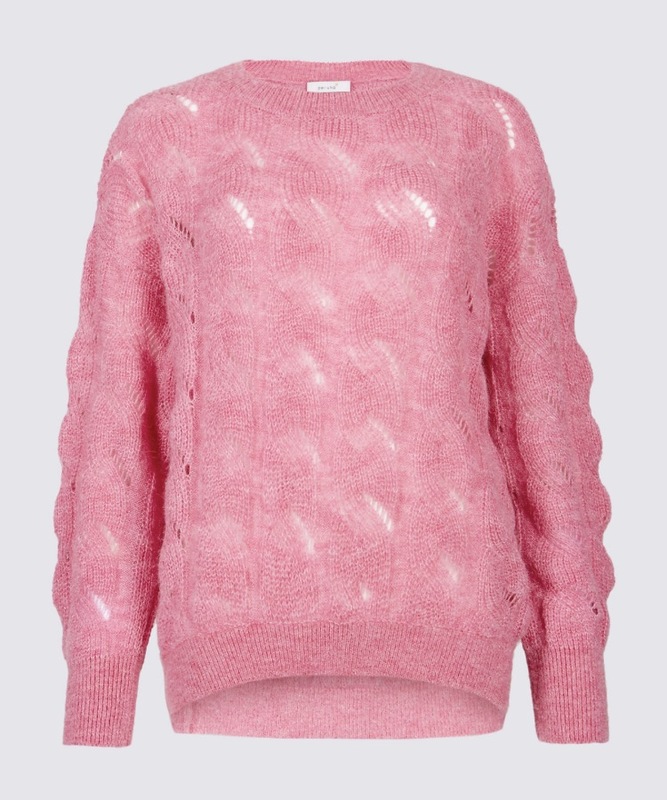 At £39.50 it’s a great price and isn’t that candy floss pink a gorgeous shade? I have ordered both of these high street versions (for research purposes!) and will report back. While I am here, I thought I would mention the homeware featured in this post. 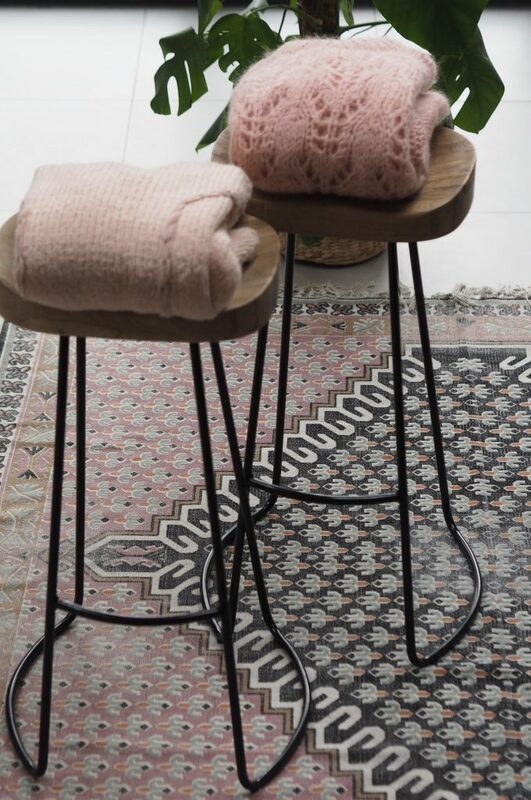 The Poppy Rug is from French Connection and is finally back in stock. Buy here. Our bar stools are from Cox and Cox, and the chair is from Graham and Green but Cox and Cox have an almost identical version for £225 less. 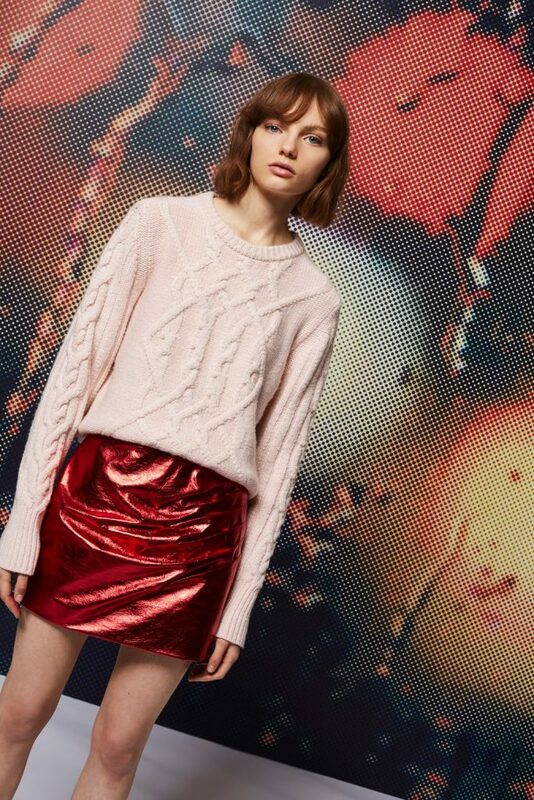 Great piece, I love the billowy arms on the Oneon jumper, but will try the M&S version first. Thankyou for finding these gems! of Joseph knits and I do tend to save them for best …. something I don’t really like doing but the thought of the cost makes me ! 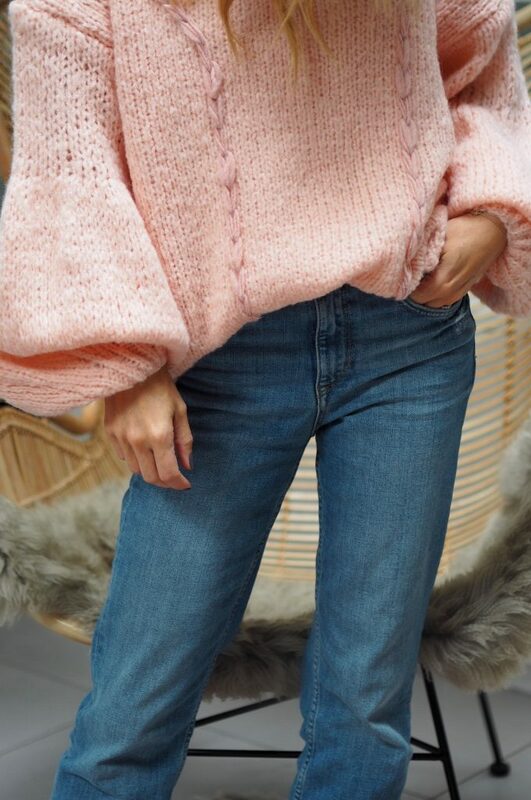 Anyway pink jumpers are just beautiful and a soft colour option for winter ! 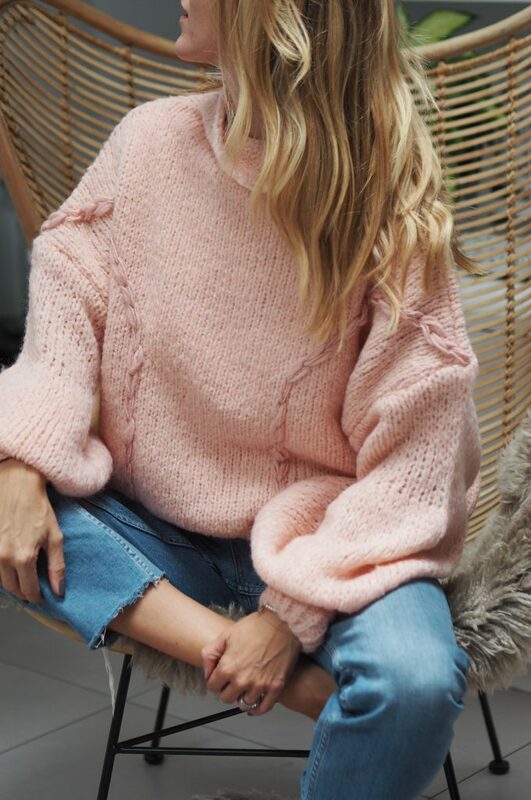 Lovely jumpers, but where is your rug from please? It’s fab!